Resources will be offered for families, youth ministries, young adult ministries, adult faith formation groups, and more. Click the links below to download PDF versions of the resources. Here’s a simple front-and-back flyer that includes prayer and reflection resources for use during travel to the March for Life on January 27, 2017. Intended for disciples of high-school age and up, this interactive session will introduce participants to some world hunger basics, invite them to reflect on the issue as Christians, and commit to fighting hunger in their daily lives. Download, print, and use it! After any service experience, it’s essential to share in reflection together. Download 20 questions that should help your group or family dig in to the experience. At the end of his apostolic exhortation, “Evangelii Gaudium,” Pope Francis includes a beautiful Marian prayer, which includes themes of life & justice. Download, print, and pray it. Good for bulletin inserts. A bill that would legalize assisted suicide in New Jersey has been introduced. Print out copies of the postcard here, and ask parishioners to sign them after Masses. Collect the cards and mail them or drop them off in one package. Find out who your state legislators are by clicking here. Nice resource from the USCCB, collecting Pope Francis quotes by topic. Many justice themes included. Ideas and resources for parish/school respect life ministries. A top-notch how-to guide from the Archdiocese of Newark and Diocese of Metuchen. 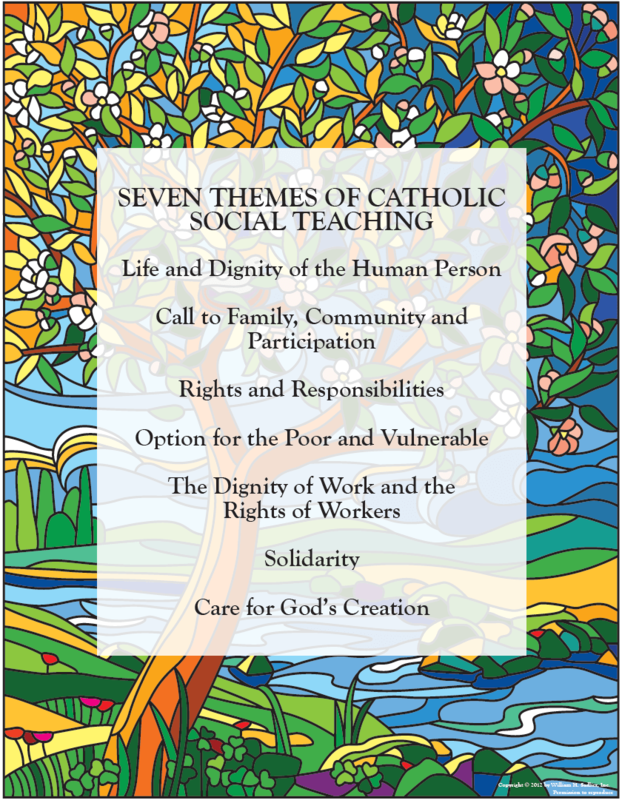 From Parish Social Ministry: Strategies for Success by Tom Ulrich, this Catholic social teaching quiz is a great way to start a conversation. Good for the beginning of a meeting or talk about CST. Did you know there are more people enslaved today than at any other point in human history? Learn about the Catholic Church’s response to human trafficking and check out some top-notched web-based resources to learn and act. Gather with your faith community to pray for immigrants and comprehensive immigration reform. The USCCB’s Justice for Immigrants Campaign has gathered some fantastic prayer resources. Here are a few selections for download. See the rest by clicking here. One-Page Life and Justice Parish Partnerships: What Could Be?